Institute of Research for the Management of Aggression. 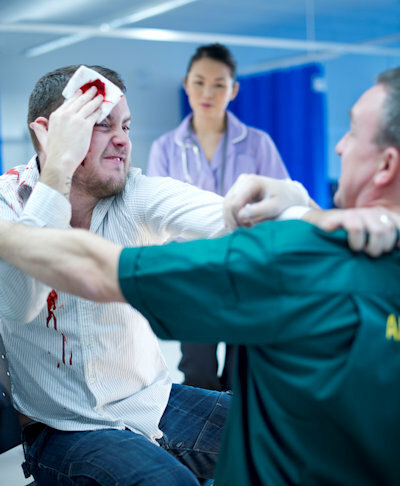 Are you trying to prevent and manage violence and aggression within your working environment? We provide training to Mental Health Hospitals, Young Peoples services, Nursing Agencies, Borough Councils, County Councils, Schools, Individual Participants. We have worked within Mental Health Services for over 30 Years. IRMA Training courses are aimed at anybody who needs effective Conflict Resolution training or the Therapeutic Management of Violence and Aggression within their working environment. Our courses involve both physical and non physical interventions. IRMA Training's aim is to help staff gain an understanding of Therapeutic Management of Violence and Aggression, how it develops and skills and knowledge on conflict resolution. We teach people about de-escalation, legal aspects, self-assessment, assertiveness and the importance of body language, alongside all latest guidelines and legislation. We teach staff theoretical aspects of conflict resolution as well as practical aspects in dealing with violence and aggression and do not use pain-compliance techniques with our physical interventions restraint training. We are accredited to NFPS Ltd and are B tech level 3 Trainers. We fully support the NFPS model and all of the training has been fully risk assessed and medically approved to be used. All PMVA Courses are CPD accredited and the SG level 3 course too. As a member of the Restraint Reduction Network TM, IRMA Training gives a public commitment to work towards creating restraint-free environments. Findings from the 2015/16 Crime Survey for England and Wales (CSEW). Awareness in managing and resolving conflict for any individual within the working environment. Techniques of observing, assessing, managing, supporting and evaluating situations, reducing restrictive practice. A mixed course of both physical and theoretical aspects depending on requirements. We deliver these training courses in-house and travel within London and throughout the country.